BiForm accessories have been specially designed and proven over the years to be durable and user friendly. This concealed clip is used to attach the 140 mm boards to the joist below – one on every joist (450mm centres), by sliding the clip into the side groove of the board and screwing into the joist with a blackened Stainless Steel screw. Sold in buckets of 200. 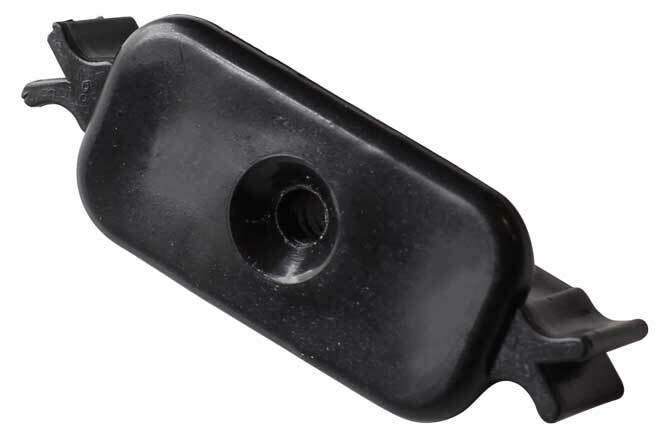 This concealed clip is used to attach the 130 mm boards to the joist below – one on every joist (400mm centres), by sliding the clip into the side groove of the board and screwing into the joist with a blackened Stainless Steel screw. For use with the decking Clips andStop clips. Made from blackened 304 stainless steel, 40mm 6G with a No1square drive head. Also available in blackened 316 Stainless Steel. The head size has been designed to be easily unscrewed from between the boards with out causing damage.Use of your drill on low torque and leaving screws loose until the next board is in position is recommended. 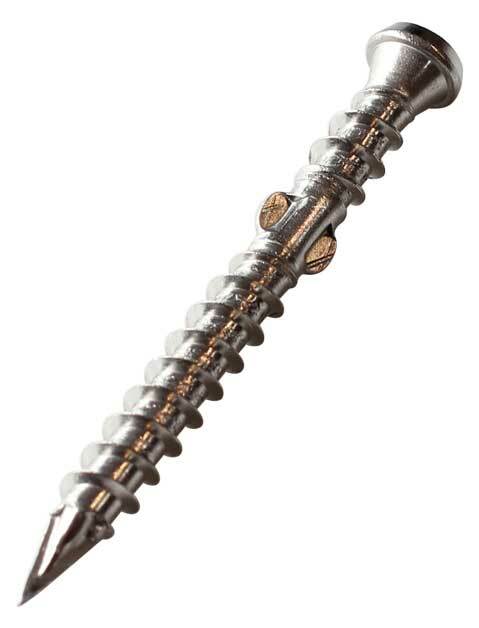 A winged decking screw made from 316 Stainless Steel, with a No 2 square drive head. 50mm for the Form 130 boards and 65 mm for the Form140 boards. Designed to surface fix edgeboards and breakerboards without leaving a mushrooming effect. When cutting our decking, we recommend Tusk Tungsten Carbide Blades. Available in 10 inch & 12 inch sized, 80 teeth blades. Available now from BiForm Decks. Designed to stop or reduce thermal movement of the deck boards Fastened with Black stainless steel fixing screws. See instructions here. 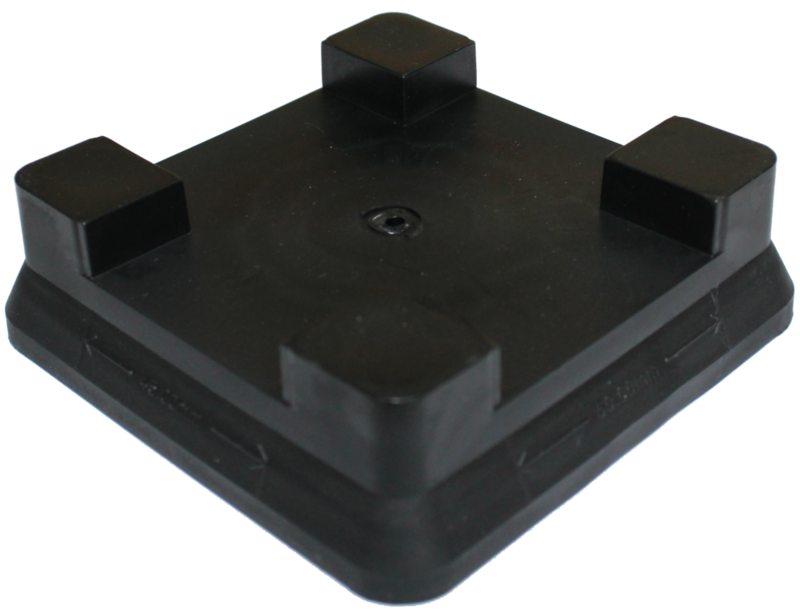 A stackable joist mount, specifically designed to support joists and provide drainage over waterproof membranes and concrete substrates. Achieve your desired height using our color coded packers. Joist Mounts sold in boxes of 24. Packers sold in bags of 12. Colour coded in Green (5mm), White (3mm) and Green (2mm), these packers are specially designed to lift our Stack N Pack Joist Mounts to the desired height. Prefect for building over a waterproof membrane fall or angled surface”. Picture to be used is attached (pic of single black joist mount with one green grey and white packer underneath. 304 Blackened stainless steel clips designed to reduce the gap between boards from 5mm to 3mm. One is supplied with your order. For use on the concealed fixers between the boards.